The timing for Dallas Cowboys quarterback Tony Romo and cornerback Terrence Newman‘s return for Sunday night’s game against the Washington Redskins couldn’t have been more perfect as they were close to being the team on the outside looking in, playoff-wise. Romo had a splint on his injured pinkie finger, while Newman returned from a sport hernia; apparently their return did them a world of good as Romo threw a TD pass while running back Marion Barber ran for a score, leading Dallas to a 14-10 over Washington. 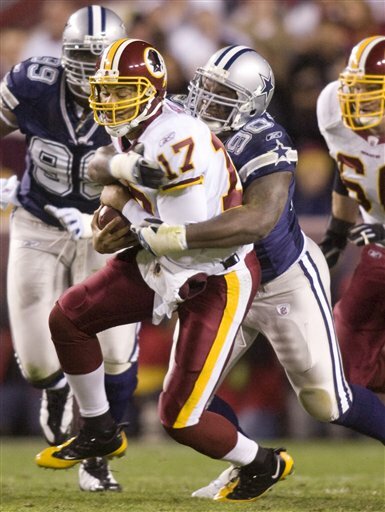 The lone scoring in the first quarter was by way of a 2-yard touchdown pass from Washington QB Jason Campbell to fullback Mike Sellers, giving the Redskins an early 7-0 lead; but Dallas would respond with an 80-yard drive which included a 28-yard pass to tight end Jason Witten and a 25-yarder to Terrell Owens. The drive would be capped by a 2-yard TD run by Barber which tied the game at 7. 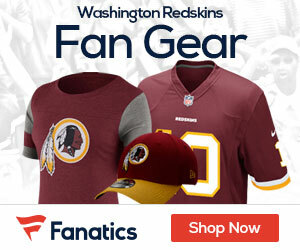 The Redskins’ Rock Cartwright would return the ensuing kickoff 58 yards, which set up a successful 41-yard field goal by Shaun Suisham, putting Washington ahead 10-7 at the half. Dallas took the lead for good when Romo connected with rookie TE Martellus Bennett for a 25 yard score, which sealed the win for the Cowboys. Romo was efficient in his return, going 19-of-27 for 198 yards with a TD and 2 INT’s while Campbell went 22-of-34 for 162 yards with a TD and INT. Barber led the Cowboys’ rushing attack with 114 yards on 24 carries with a TD along with 6 receptions for 39 yards to lead all Dallas receivers while Clinton led Washington with 68 yards on the ground. TE Chris Cooley led all Redskins receivers with 47 receiving yards. Dallas (6-4) begins a 2-game homestand when they play Sunday, hosting the San Francisco 49ers while Washington (6-4) plays next Sunday as well when they travel to Seattle to face the Seahawks.